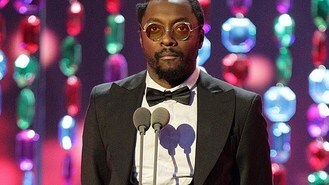 Will.i.am is set to produce an exclusive track which will be launched into outer space, it has been reported. The Black Eyed Peas singer and The Voice judge is also a celebrated producer and his talents have been scouted by NASA according to the Sun. The space agency apparently wants him to produce a song to be played during a future mission to Mars. "NASA feel Will is the ideal figure to appeal to a mainstream audience and promote their technologies," a source said. The track, which is likely to then appear as a bonus track on his next album, will not be the first instance of Will and NASA working together. He has previously helped with their Twitter campaign to promote learning science in schools, and has recorded an announcement for NASA's television channel. Jessie J has thanked her fans for their support during tough times. Adam Lambert reckons his new album Trespassing will raise eyebrows among his fans. Lady Gaga might have to cancel her sold-out show in Indonesia because Islamic hard-liners and conservative lawmakers have objected. Carly Rae Jepsen has topped the first ever streaming chart with her hit Call Me Maybe. Bobby Brown has revealed it took him so long to come out with a new album because he's been busy trying to get his life on track. Michael Jackson's glittery gloves, spangled jackets and stage-worn costumes are going on a world tour before being sold to the highest bidder in December. Girls Aloud are back in the studio recording new material for their 10th anniversary comeback. Rebecca Ferguson has revealed the music industry's image obsession could "take you under" without supportive people around you. Donald "Duck" Dunn - who helped create the gritty Memphis soul sound at Stax Records in the 1960s - has died at the age of 70.